1. 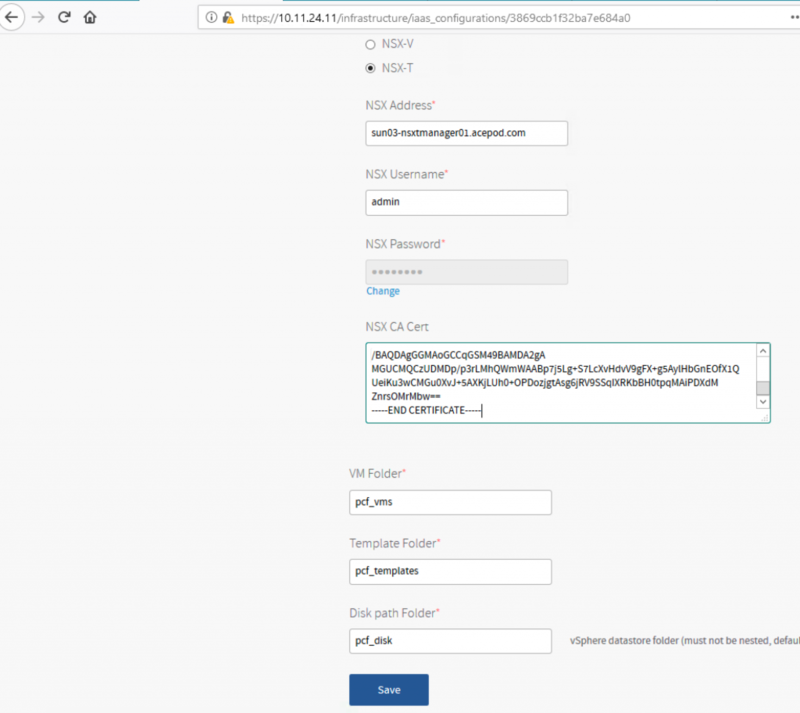 Error connecting to NSX IP: The NSX server’s certificate is not signed with the provided NSX CA cert. 2.You will need a linux machine to create an AD cert and sign it. # See the POLICY FORMAT section of ‘man ca’. # See the POLICY FORMAT section of the ‘ca’ man page. # Options for the ‘req’ tool (‘man req’). # Extensions for a typical CA (‘man x509v3_config’). # Extensions for a typical intermediate CA (‘man x509v3_config’). # Extensions for client certificates (‘man x509v3_config’). # Extensions for server certificates (‘man x509v3_config’). # Extension for CRLs (‘man x509v3_config’). # Extension for OCSP signing certificates (‘man ocsp’). 4. Create the CA cert. 5. 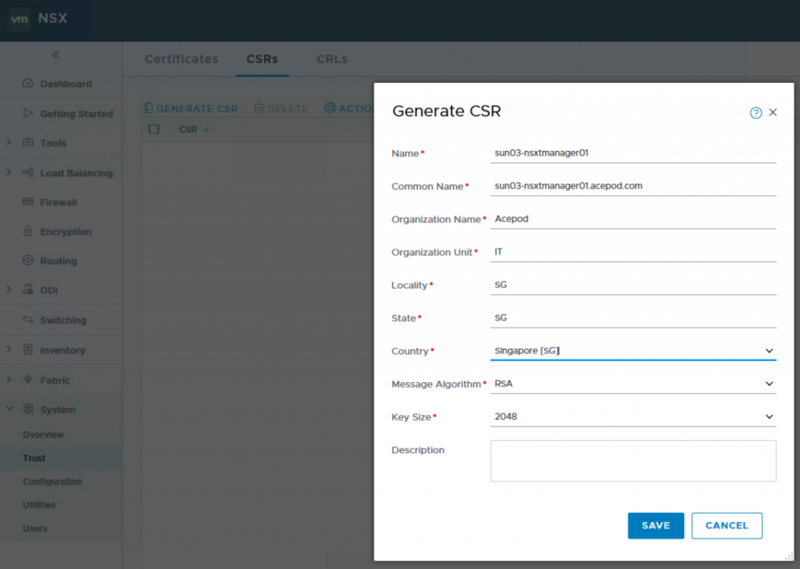 At NSX-T Manager, you generate a CSR. 6. After that you download the CSR PEM you just generated to the linux machine and put the file into the csr folder. I rename the file to nsxt9.csr.pem. 7. 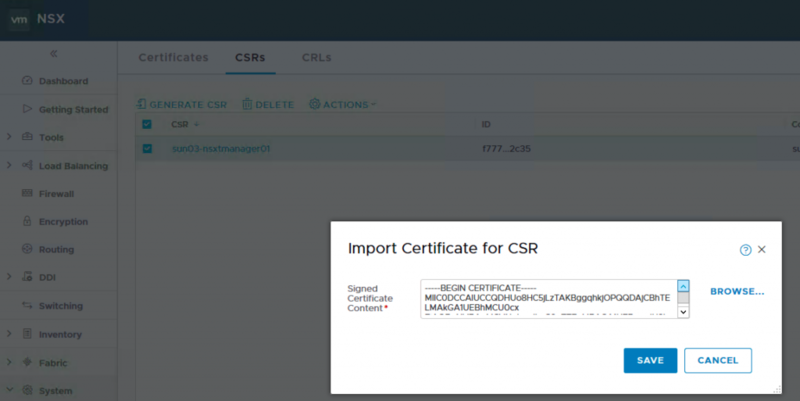 Sign the CSR with the AD cert you previously created. 8. Open an editor and concat the nsx-t.crt.pem file and ca.crt.pem together. I then save it as nsx-t-w-ca.crt. 9. Back to NSX-T Manager, click on the CSR you just generated and Import the certificate which contains the NSX-T cert and the CA cert. 10. You will see two certs imported into the Certificates tab. 11. Next, you will need to activate cert. You will need to use a rest client to do that. Highlight on the cert and copy the ID. You will get a 202 indicating success. 13. 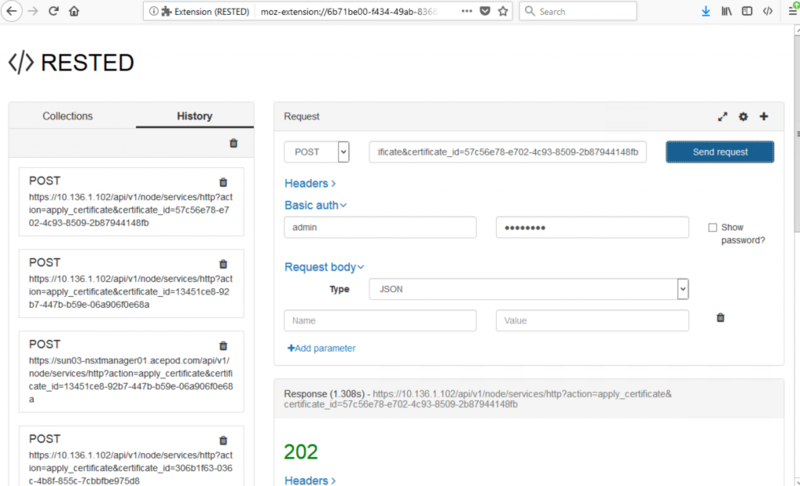 Place the CA Cert into NSX-T Manager. 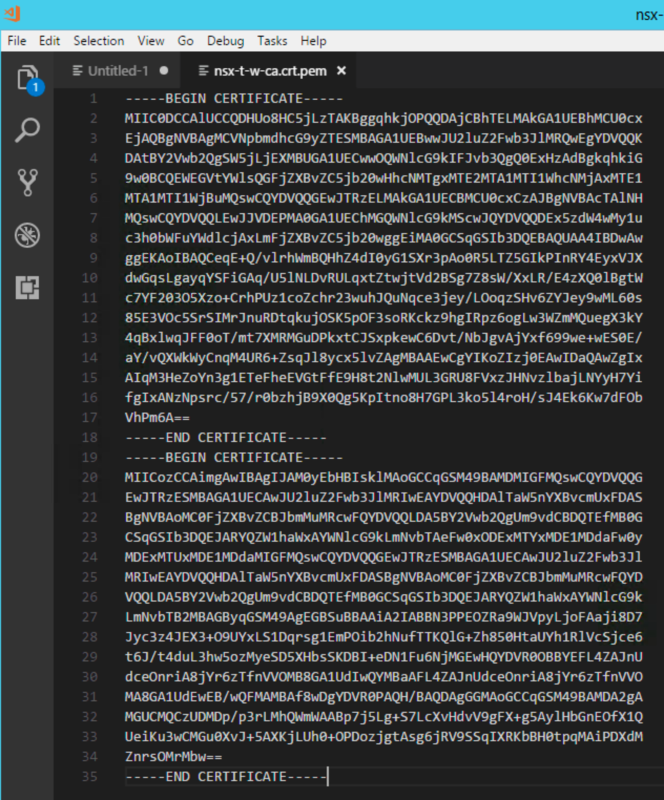 Now, back to PCF Ops Manager, you copy the CA cert. Its the CA cert, not the NSX-T cert. On the editor where you concat, its the 2nd cert. Mine is end with Mbw==. From the screenshot below, you can see.